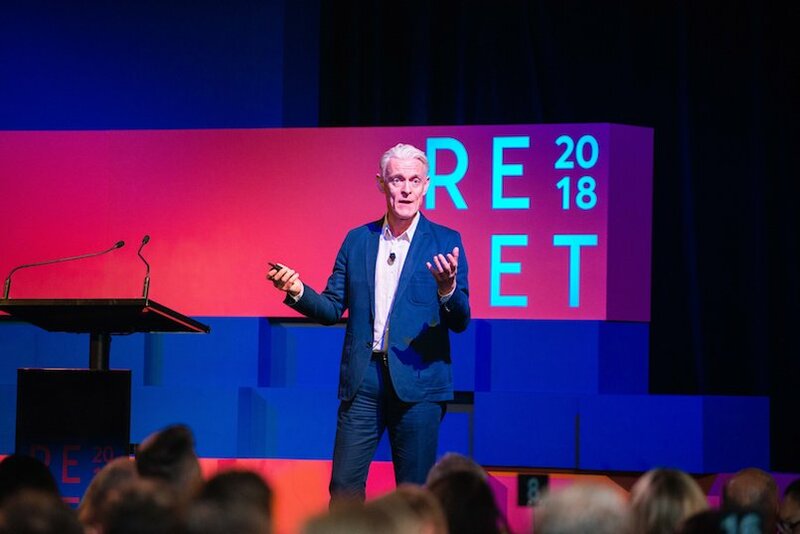 The AANA’s Reset 2018 was billed as “an exciting opportunity to be inspired by leading international speakers primed to disrupt your thinking and equip you to confront your everyday challenges. Now and into the future. AANA has curated these thought-provoking sessions to encourage marketers to disrupt their thinking for the year ahead”. Held on Tuesday, 18 September at Royal Randwick Racecourse, Sydney, this year’s AANA Reset was a huge success. With an eclectic line up of speakers from around the globe it was insightful, stimulating and educational. Diversity seemed to be a strong theme in both the choice of speakers and their topics. 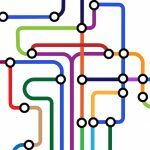 TrinityP3 was there, along with a few of our clients as guests, and here are the highlights from the day. Almost thirty years ago, as a year 12 student, I was lucky enough to attend a leadership conference that had legendary AFL coach Allan Jeans as the keynote speaker. It was the first conference I had ever been to and to be honest, I can’t really remember why I got to go. What I do remember however is the impression Allan Jeans’ presentation made on me and my young, developing brain. I also remember the fact Allan has managed to ruin every conference I have been too since. You see, no one has ever managed to live up to Allan as a presenter or motivational speaker. That was until I went to the AANA ‘Reset’ conference last week. Billed as eight international speakers who will ‘disrupt our thinking and equip us to confront our everyday challenges’. I must admit I was a tad cynical going in. 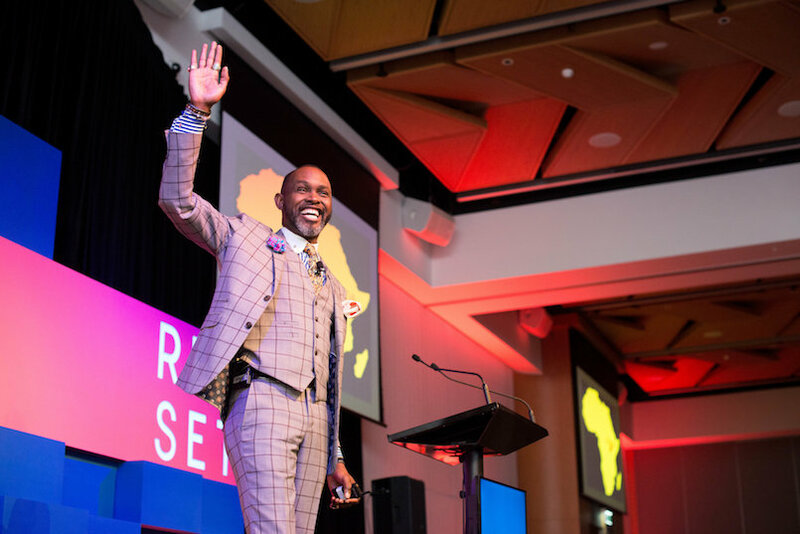 That cynicism was well and truly destroyed when founder of The Global Soap Project, Derreck Kayongo took to the stage. A true storyteller, Derreck wove a deeply personal tale of growing up as a refugee into how he developed The Global Soap Project and along the way he gave great insight into what it takes to be a great marketer. See the opportunity, know the target market, adapt when needed and focus on the benefits. Oh, and know how to tell a good story. If you ever get the opportunity to see Derreck speak at a conference, grab it with two hands and don’t let go. He will challenge you personally and professionally with humour and honesty and you will come out the other end buzzing. I know I did. Nuance – you’re either for it or against it. Or at least, that’s sometimes how it can feel in conferences like AANA Reset. They can easily turn into a dull parade of false binary choices. One speaker declares that something is dead, then another protests that the same thing is very much alive. Broadcast is finished…but wait – it’s back again! 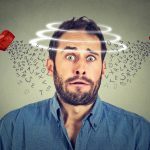 Content is played… except – aha – when it’s done like this! We got a bit of this at AANA Reset. You could feel the room shift impatiently as Alastair Herbert from Linguabrand gamely tried to claim all focus groups were utterly useless, on the way to introducing his (admittedly fascinating) AI invention ‘Bob’ as the only reliable interpreter of consumers. He grabbed attention, of course, but in a way that left me silently screaming ‘you’re just talking about focus groups being done badly, you idiot’ for most of the time that he was explaining the undoubtedly impressive methodology and insight Linguabrand brings to the table. But most of the day at Reset wasn’t like that. So many of the speakers talked compellingly about the messy unpredictability of consumers, the complexity of markets and human behaviour, and the requirement to triangulate the fire from all the marketing weapons at our disposal – quantitative, qualitative, neuroscience, gut instinct, creativity, AI, local observation, experience, social media, test and learn, etc etc. David Gluckman stood up brilliantly for just doing stuff. Derreck Kayongo hypnotised with stories of applying unique perspectives to common problems. Tea Uglow gave insight into the messy, open and glorious process of innovation done properly. And Rory Sutherland ran riot in his inimitable style, exposing the facile, skin-deep solutions that lazy marketing can so often elevate into gospel truths. Not a false binary from any of them. It was a terrific day. For a moment at the end – before I caught myself – I even wondered whether nuance could now be the new black. Sarah Harden, CEO of Hello Sunshine started the morning with energy and passion. 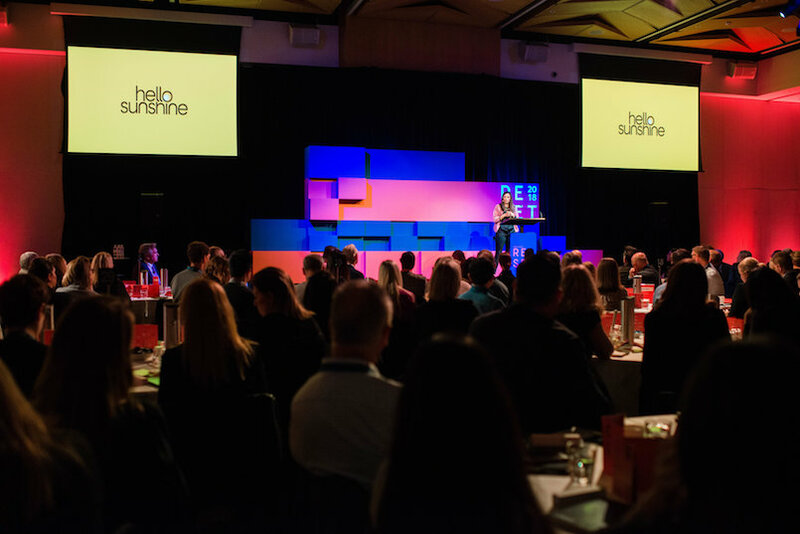 The power of storytelling is the backbone of Hello Sunshine’s existence and this, coupled with their strong focus on women being at the core of everything they do, the company fills an important gap in society today. Hello Sunshine comes from a truly authentic place and is an incredible platform for female authors, creatives and storytellers around the world. It’s still very young and I look forward to seeing where Sarah, Reese and their teams take it. I would like to invite David Gluckman, Author and Creator around to dinner. What a charming gentleman with a captivating story about keeping it simple, believing in yourself and trusting your judgement. As the creator of Baileys Irish Cream and many other wonderfully delicious products that are found in so many homes, David’s message to engage top management from the beginning, present a finished product, and believe in a winning idea rather than providing options would have been applauded by many of the agency folk in the room. One of my favourite parts of his presentation was the fact that he held the Baileys product research back as it was so negative and presented it to the company at the brand’s 10th anniversary. Imagine where our Christmas would be if that research had been listened to rather than David and his team’s better judgement. Know when you are onto a winner and trust yourself. Oh and by the way, David’s book, “That sh*t will never sell” is available now. (David, I’ll be in touch re commission). Finally, if David is coming to dinner then so is Derreck Kayongo, Founder of the Global Soap Project. Another genuinely passionate, energetic, determined entrepreneur with a huge amount of self belief. The Global Soap Project is a phenomenon around the world thanks to Derreck’s insight and drive to make it happen. Not once did Derreck let potential hurdles stand in his way to make this project a reality. A truly outstanding case study of seeing an opportunity and making it happen. Anyone who doesn’t know his story already should. So that’s 3 out of what could have been a possible 5 as Tea Uglow, Creative Director from Google Creative Lab was outstanding as was Rory Sutherland. Tea didn’t hold back and my favourite line, possibly of the day, was when she presented all her physical and emotional “faults” then caveated those with, “But I’m F*&king good at my job”. And that she is. As for Rory, everyone loves him and he was the perfect choice to close the day. The AANA Reset event is based around the theme of ‘Disruptive Thinking’. In my opinion, some sessions were strong in this regard, whereas others were more directly educational in nature, or were focused a bit more on selling the speaker’s business, and therefore were less truly ‘disruptive’ in nature. However, ‘Disruptive Thinking’ is a hard theme to deliver against without a relatively high degree of audience engagement and/or discursive sessions and with this in mind, inclusion of more panel-style discussions (either as part of the main agenda or in Q&A) could potentially have driven a higher level of return. There was direct contradiction between some of the speakers across the day, particularly with regard to the relevance of/correct methodologies involved in consumer research. It was interesting to get the different perspectives but it would have been fascinating to have each of the speakers together on stage debating the topic. Generally speaking, I was impressed with the diversity across the day – younger and older speakers, a wide range of subject matter expertise, excellent gender representation as well as the international scope (UK, US and others) – all of which was great to have exposure to across the day. By far the best session of the event in my opinion was at the end of the day, when Rory Sutherland gave an entertaining, unique and thought provoking talk about the psychology of communication, its effect on consumers and its application in marketing. His approach was informed from a wide range of sources and experience, and forced me to think differently – so, in terms of the aim of the day, mission accomplished. The 2018 AANA Reset was entertaining, thought provoking and comforting all at the same time. 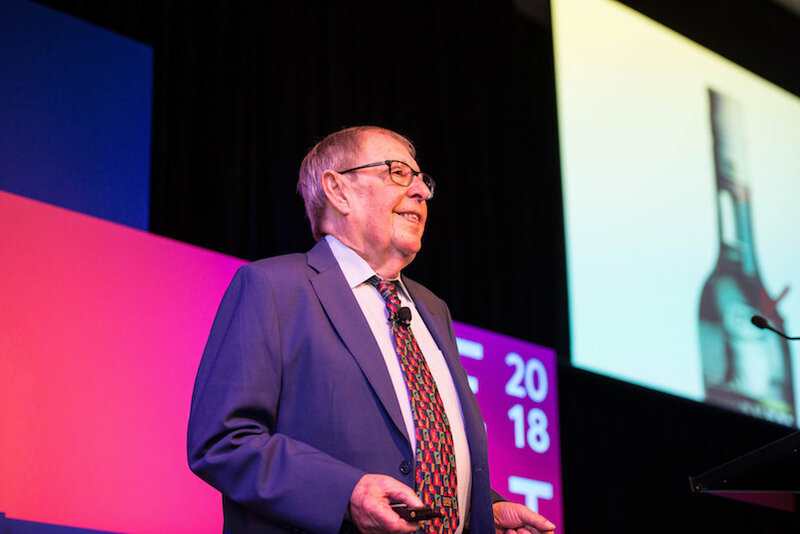 The mix of speakers provided a balance of new ways of approaching marketing challenges with how the magic of an idea can still outperform excessive research and data analysis. One of my highlights was hearing from David Gluckman who described his involvement in the original recipe and marketing of Baileys Irish Cream for Diageo in the 1970’s. His story about how he and a colleague poured a few ingredients together for Diageo, used the name ‘Baileys’ from a sign below their offices and pitched the idea of Baileys Irish Cream to the client in record time based on a bit of a hunch it’d be a success was refreshing given it remains one of the world’s best-selling drinks to this day. 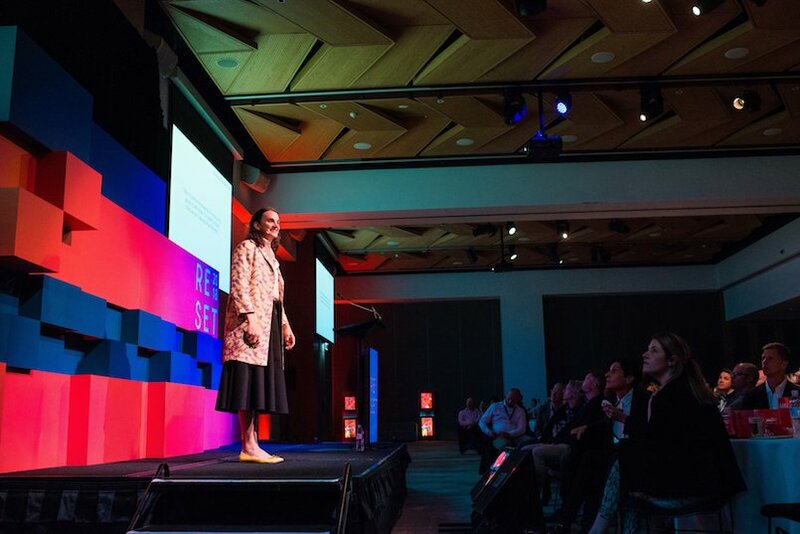 Another entertaining and informative speaker was Tea Uglow – Creative Director at Google. I was fascinated by her personal transformation and observations on creativity and culture in the digital world. I loved her question – why do companies continue to hire the same kind of people who are inside the box and ask them to think outside the box to solve problems … why don’t they just hire people outside the box? 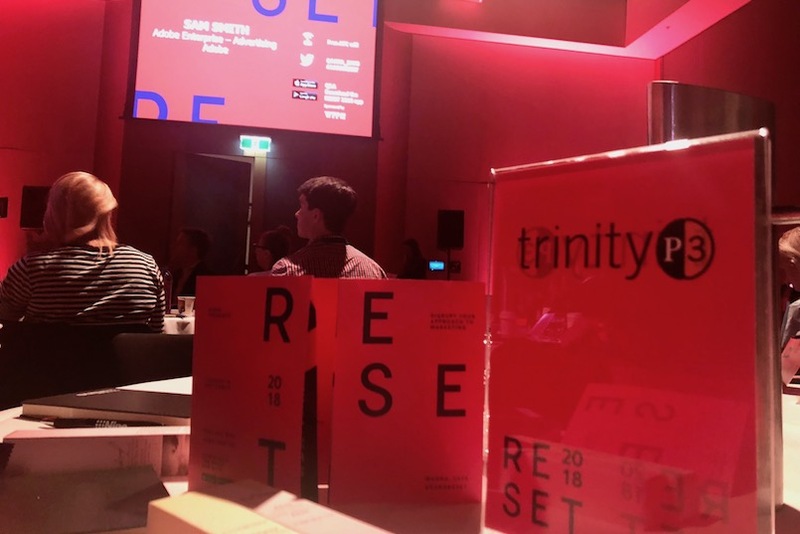 Reset 2018 is a wonderful initiative from the AANA and never fails to disappoint. Thank you John Broome and all your team who put it together and made it a truly inclusive, entertaining day. We are already looking forward to the next one.